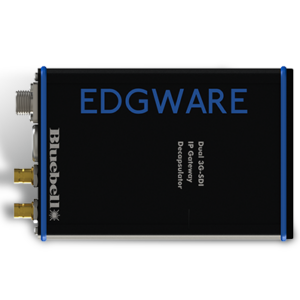 The BC550R is a receiver for the conversion of an optical signal into electrical 3G-SDI, HD-SDI, SD-SDI and ASI. 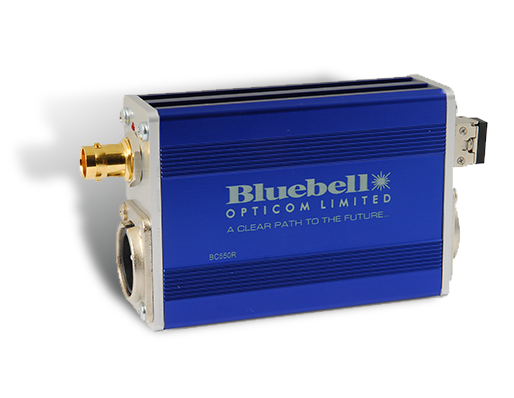 The incoming optical signal is fed to a trans-impedance and limiting amplifier before being electrically reclocked on the output. 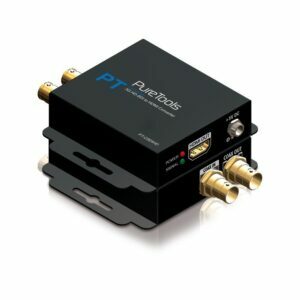 Each BC550R is housed in a compact robust enclosure with power provided via the PS12 unit. The PS12 has an IEC mains inlet allowing easy adoption into standard equipment bays. 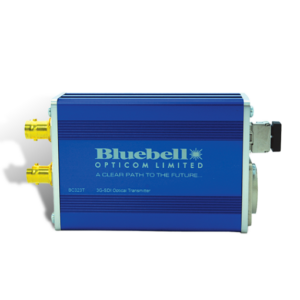 A 4 pin XLR allows the BC550R to be powered from a variety of external DC sources in the range 4.5 to 17 V.
The BC550R is available in singlemode, WDM and CWDM variants to suit any fibre application. 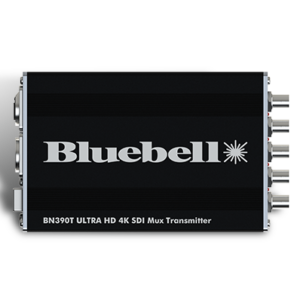 The BC550R can also be used to interface to any of the standard Bluebell enclosures.